First days of September always get me excited. This year I truly can't believe how fast the months have flown by. People close to me know that this means I'm already dreaming of holiday cheer and twinkly lights, but let's not get ahead of ourselves. There is so much autumnal charm to enjoy before then. Having worked in the wine industry for almost a decade, I've come to see how magical harvest is. This is a time to celebrate the year we've had, and the work we've put in. I, myself, am still trying to work out my everyday routines... but I have noticed even so... that my inherent seasonal habits are starting to shift. As the days get shorter and little darker, I'm reaching for my hat again. My toes want socks. It's a little too early to choose red wine always over white, but after reading this BA piece, I am craving these rosy and bright, Italian red wines. I want to shop for all new sweaters and to be whisked away in cozy romantic fashion. 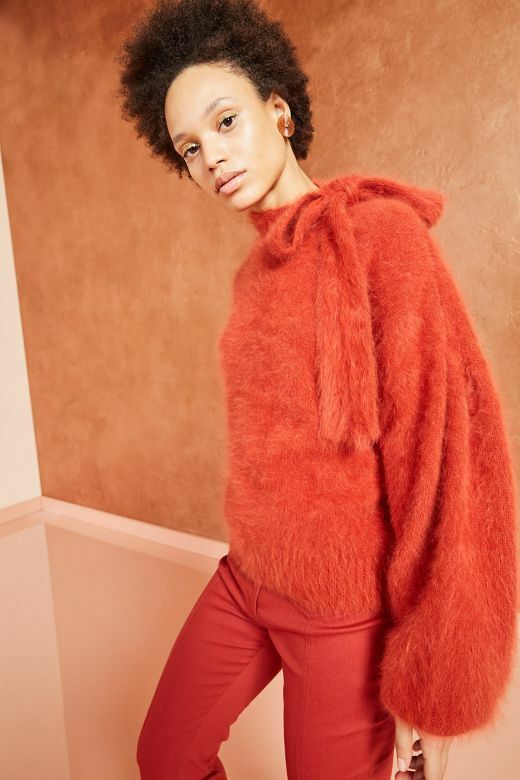 Full, blossoming sleeves and hairy, angora from Mara Hoffman and Ulla Johnson are easy-to-wear, but still sophisticated knit statements. I'll know I've made it (to somewhere) when I can buy myself a warm sheepskin jacket by Milena Silvano. Last year when I was in Sweden, I purchased 2 patch-worked wool squares to make into pillows. I'm hoping these will have the same eclectic effect in my home. 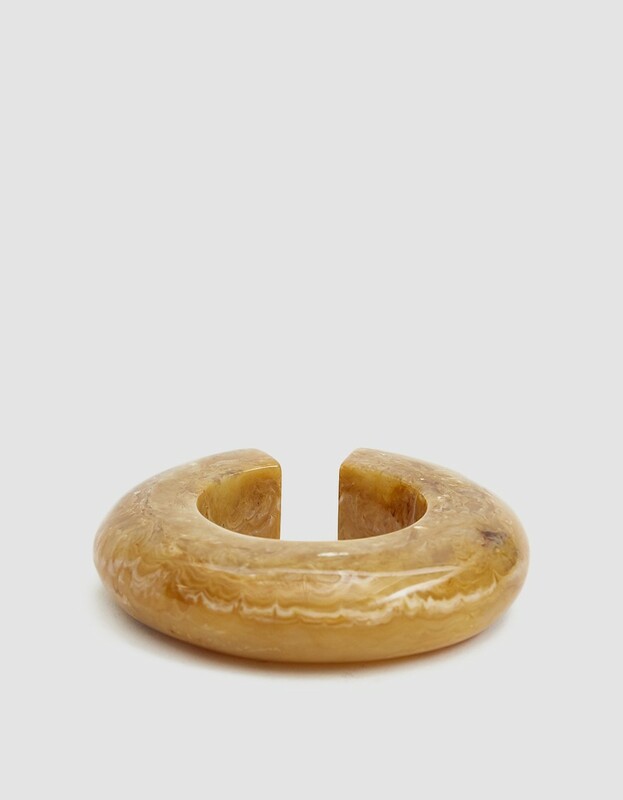 I'm loving the large acrylic jewelry craze right now and adding a bangle (from Cult Gaia) or earrings (from The Outlier) punch up a casual silhouette.